The majority of mothers, despite employment, are supporters of breastfeeding. And to make the necessary supply of breast milk at the time of absence by his freezing. Procurement of breast milk in bags is very convenient, because in the freezer, this package will occupy a small space. 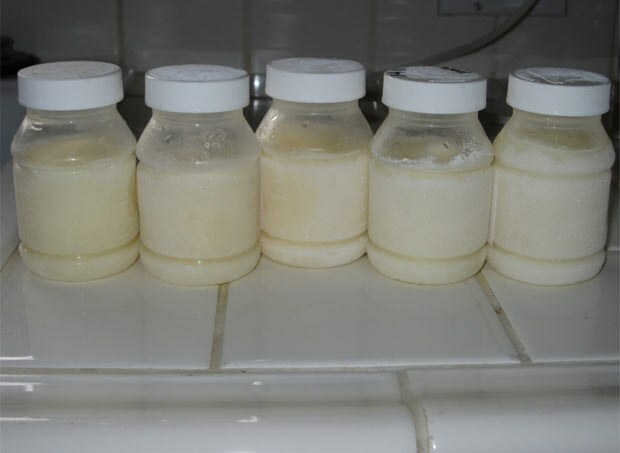 Packages for freezing breast milk is sterile, made of durable food grade material and equipped with a special zipper (many manufacturers make it double or even triple) in order to avoid leaks no matter what position the product is stored. Each package marked scale to determine the amount contained in her milk. There is also a field to specify the date of pumping, allowing you to track the retention period. Before the initial opening of the package, you need to cut the top part of the protective strip, then open the zipper and pour in the milk in the package. Before closing the package should be remove excess air, holding an empty pack space between your fingers. Then you need to squeeze the clasp and check the package for leaks. If everything is in order – you can freeze breast milk in the camera. The principle of the device packages, for pumping and freezing breast milk is the same regardless of manufacturer. However, some firms try to bring in your product for something special. For example, packages of Medela Pump&Save is equipped with a special adhesive tape that allows you to attach them directly to the breast pump, which makes collecting breast milk. Packages for freezing milk from the Japanese manufacturer Pigeon have a special spout for easy filling of breast milk, and after defrosting the milk can be poured from the bottom of the package, which ensures complete sterility of the product. The only drawback of all packages is their one-time use. Experts on breastfeeding and pediatricians argue that storing breast milk in food grade plastic containers and glass bottles. However, some manufacturers have tried to make storage more convenient. For example, a well-known manufacturer of products for children and mothers Avent has developed a special set of containers refillable, which is convenient to carry out storing breast milk in the freezer. Containers with a capacity of 160 and 220 ml easily sterilised, and are used for various cooking purposes, not only after the cessation of breastfeeding, but even for storing various kinds of products, not related to the child's diet, which undoubtedly is a great advantage and justification for the cost of the set.